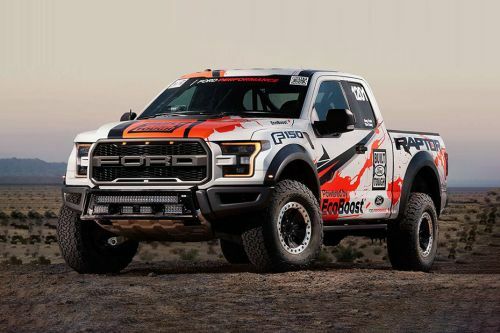 Have a question on F-150 Raptor ? F-150 Raptor is available in 14 different colors - Oxford White, Bronze Fire Metallic, Magnetic Metallic, Blue Jeans Metallic, Race Red, Lightning Blue Metallic, White Platinium Metallic Tri Coat, Ingot Silver Meatallic, Ruby Red Meallic Tinted Clearcoat, Caribou Brown, White Gold, Shadow Black, Avalanche and Lithium Gray. What is the price of Ford F-150 Raptor ? On road prices of Ford F-150 Raptor Standard in is costs at AED289,000 . What are the colors options available in Ford F-150 Raptor ?